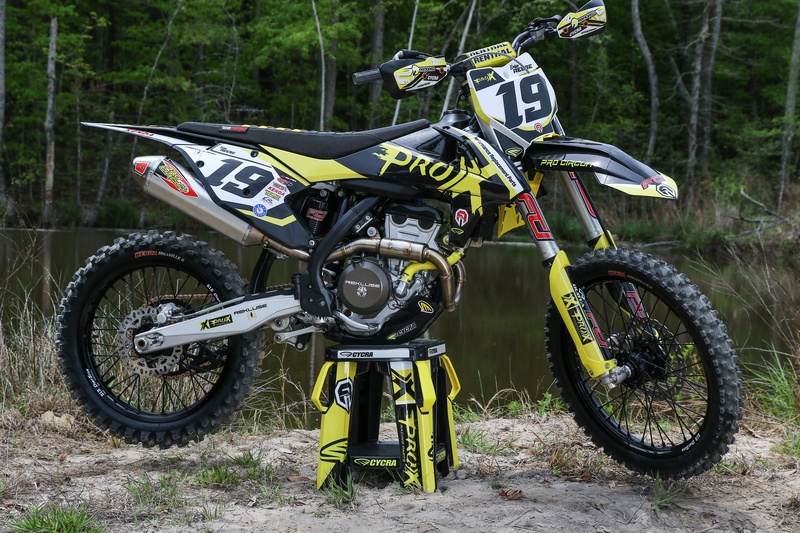 ProX CEO Brian Reese and crew met the MXA magazine team at Club MX to ride his ProX-equipped KTM 250 SX-F project bike. 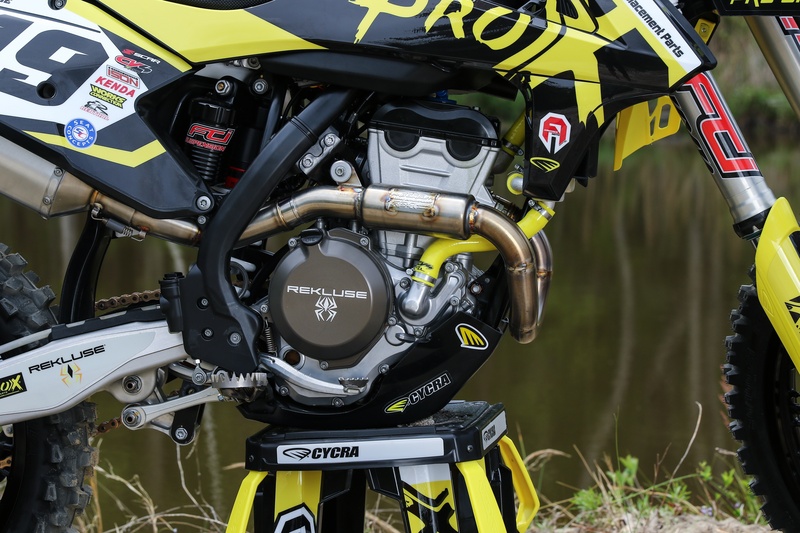 Check out what went into this build and watch the MXA crew rip the bike on the track! For many, riding and racing is a lifelong passion that has been passed down from previous generations and will continue through the generations to follow. 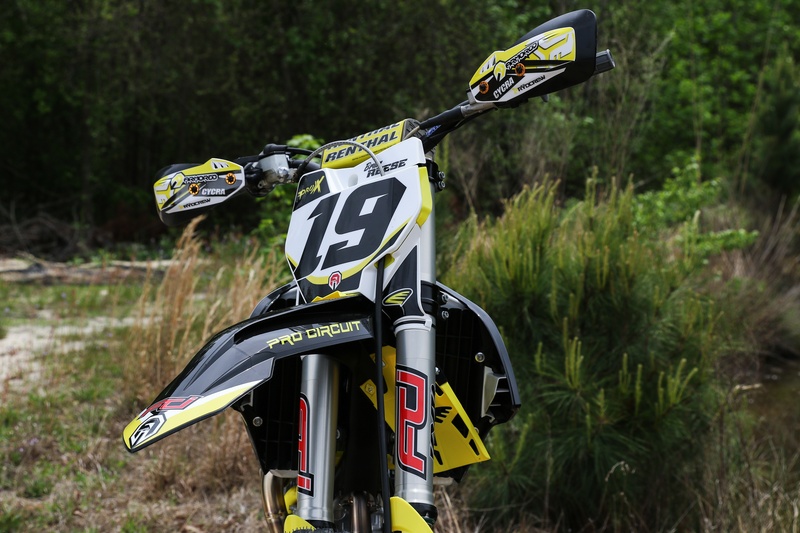 At ProX, we feel that just selling quality parts isn’t the only the aspect that should make up a company in the powersports industry. When passion is shared amongst the members of the company and its fellow riders and customers, it creates the genuine experience we think riders should get everywhere they go. We wanted to show that we’re not just people in an office selling dirt bike, ATV, and other powersports parts. 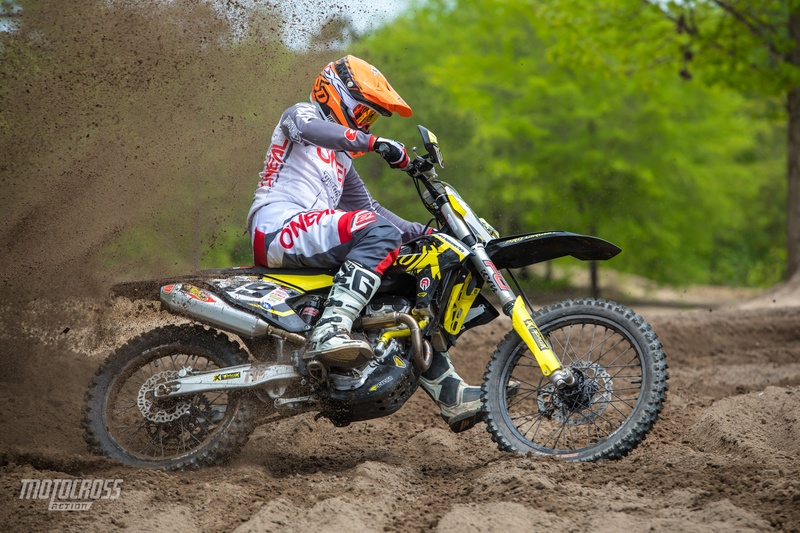 Earlier this year, we teamed up with Motocross Action magazine to show that passion runs through our veins too, all the way up to the top of the company. So, we loaded up a ProX-equipped 2016 KTM 250 SX-F that personally belongs to and is ridden by ProX CEO Brian Reese, and headed out to Club MX to do some riding with the MXA wrecking crew. ProX CEO and crew partnered up with a handful of great companies to make a used KTM 250 SX-F run and look well beyond brand new. Read on for all the details on this build. When the bike got into Brian’s hands, it was a mostly-stock KTM 250 SX-F with a fair number of hours on it. The first objective was to freshen up the engine to get strong and reliable power. Starting from the bottom, the cases were split and the crankshaft was rebuilt with a ProX connecting rod kit. The crank itself was in good condition, so a new connecting rod, big-end bearing, and crank pin were what we needed to bring the brand-new, OEM reliability back. In addition, the crankshaft now spins on new ProX bearings and was sealed up with a ProX seal kit. The top-end was freshened up with a ProX forged piston kit and a head rebuild. Ison Racing Engines re-conditioned the cylinder head and recut the valve seats for a reliable seal, then the head was fitted with a ProX steel valve and spring kit. The steel valves offer more durability, and the corresponding spring is rated for the weight of the valve to make sure OEM performance is retained. 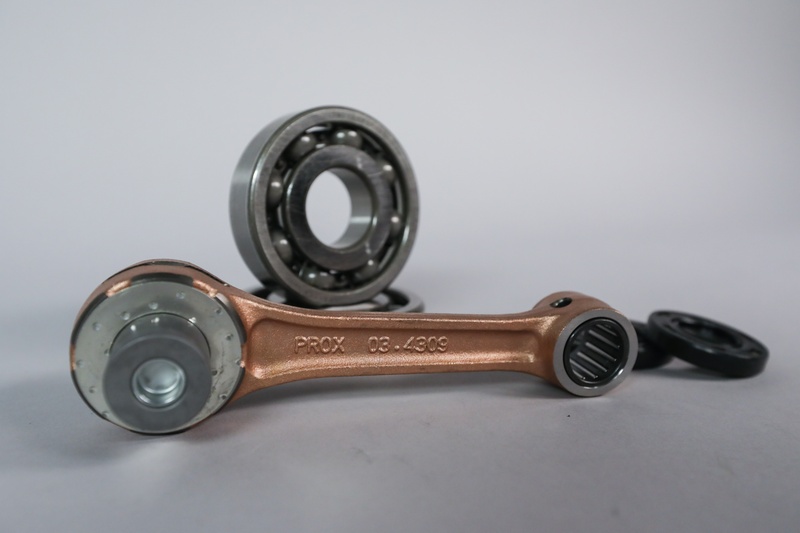 Read more about ProX crankshafts and connecting rods here. 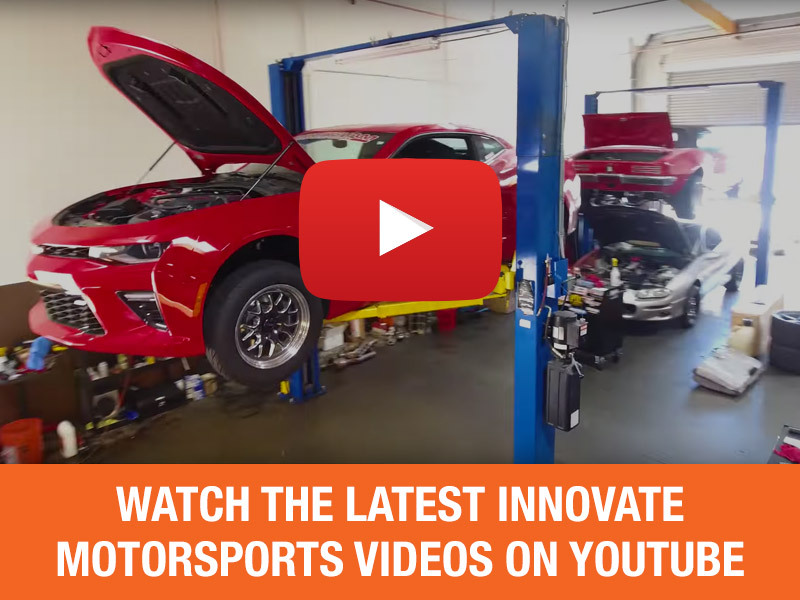 A new ProX timing chain was installed along with a Dirt Tricks manual timing chain adjuster, which eliminates the worry of the OEM hydraulic adjuster failing and leaving slack in the chain. On the clutch side, a Rekluse CoreManual TorqDrive kit was installed. This kit features their proprietary, thinner plate design that allows for more friction discs, helping to translate torque to the rear tire more efficiently. The torque difference from the clutch itself is a noticeable and enjoyable change, and the extra strength of the billet inner hub and pressure plate is a nice addition. The Rekluse CoreManual TorqDrive kit noticeably increased torque transferred to the rear wheel. Find a Rekluse clutch for your bike. 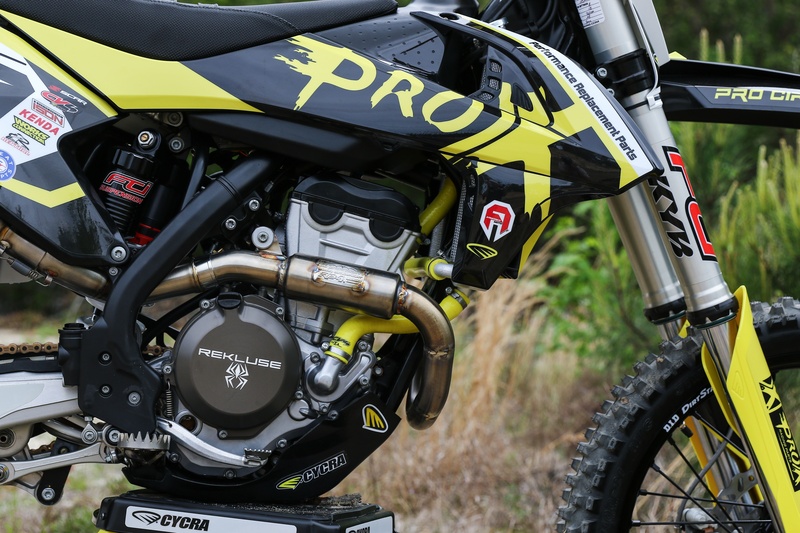 Feeding clean air to the engine is a ProX air filter, and escorting exhaust out is a Pro Circuit T6 complete exhaust system. 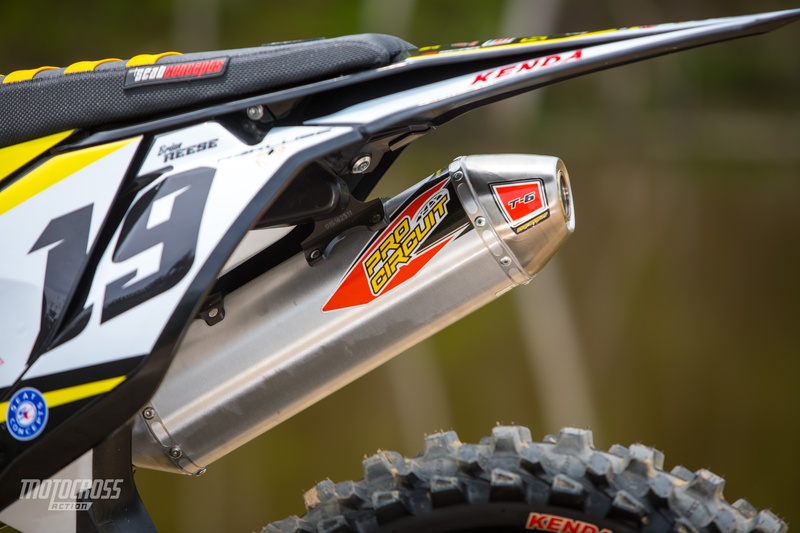 The exhaust also proved to provide a noticeable increase in bottom end response while also increasing the bike’s ability to pull without falling off on the top end. The Pro Circuit T6 complete exhaust system improved bottom-end power and allowed the bike to pull more up top. Plus, it looks awesome. 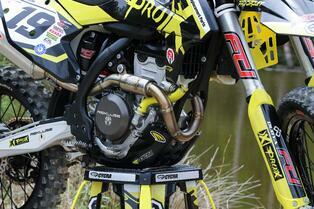 Click here to find a Pro Circuit exhaust for your bike. Keeping the engine cool is a set of CV4 radiator hoses and a high-pressure, 2.0 bar CV4 radiator cap. The entire engine was sealed up with a ProX complete gasket kit. 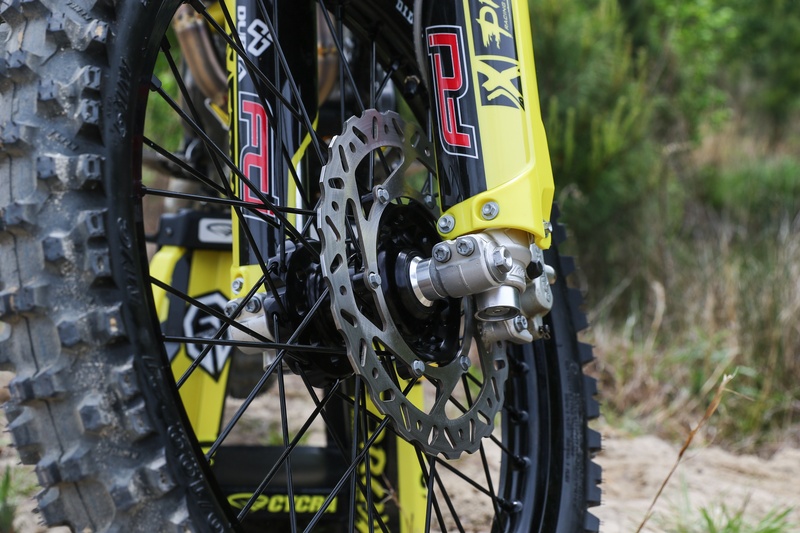 The drivetrain consists of a set of ProX sprockets wrapped in a ProX 520MX gold chain. 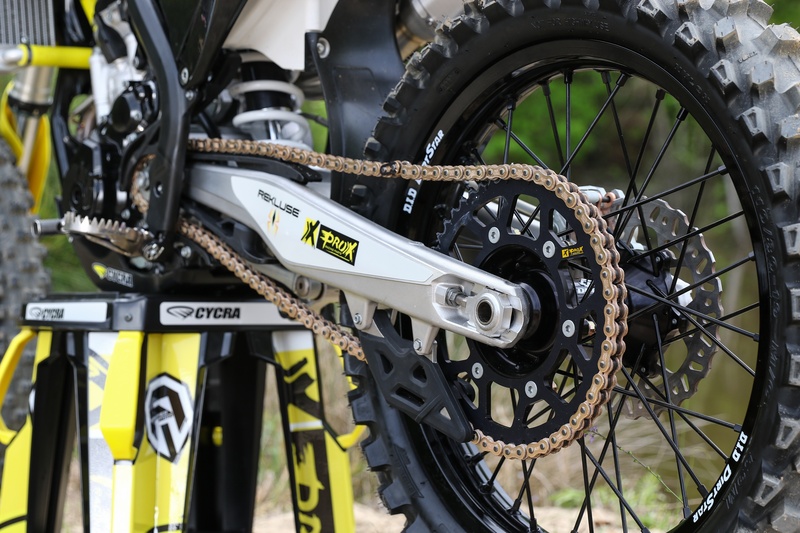 The combination of the anodized rear sprocket and a Japanese steel chain makes for a package that delivers longevity. A set of ProX sprockets and a ProX Gold chain handle the final drive responsibilities. Trying to decide between standard and O-ring chain? Click here. Dubya USA built a set of beautiful, all-black wheels featuring Talon billet hubs and DID Dirt Star rims. We wrapped the wheels in a set of Kenda Millville IIs, complete with Kenda tubes. The tires are a soft to intermediate terrain and allowed for confident performance across a variety of terrain ridden. A bike with solid power also needs a solid way to stop, so the KTM received front and rear ProX wave rotors and ProX sintered brake pads. The all-black wheels were built by Dubya USA, wrapped in a set of Kenda Millville II tires, and fitted with ProX brake rotors. 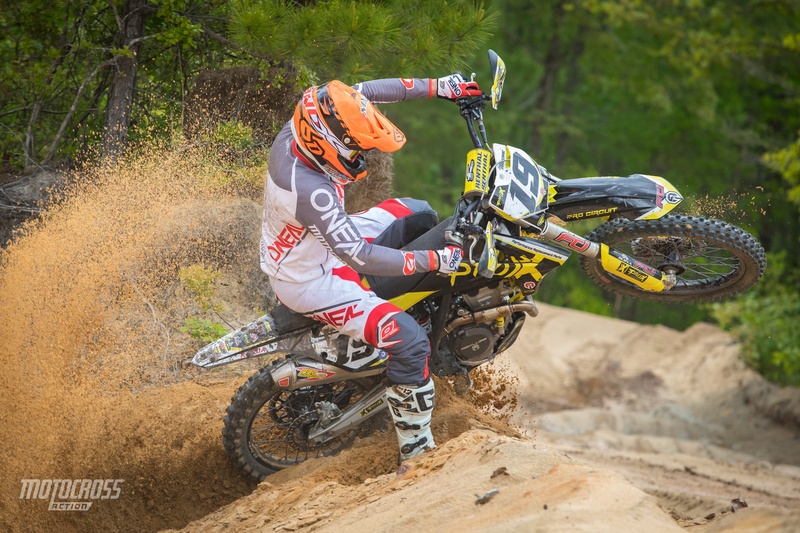 Check out Dubya USA and Kenda Tires for your machine. One area that really needed attention were the WP 4CS forks. 4CS forks have a reputation of being disliked among people that have ridden with them, and we’re not going to say we disagree. FTI Suspension took the reins and completed their KYB internals conversion and rider-specific valving for Brian, creating a much more progressive and predictable fork feel that still had good bottom resistance. FTI set the shock up as well with the correct spring for Brian and valving to complement the forks. The forks got some much needed love from FTI, converting the poorly-reputed 4CS internals to KYB. 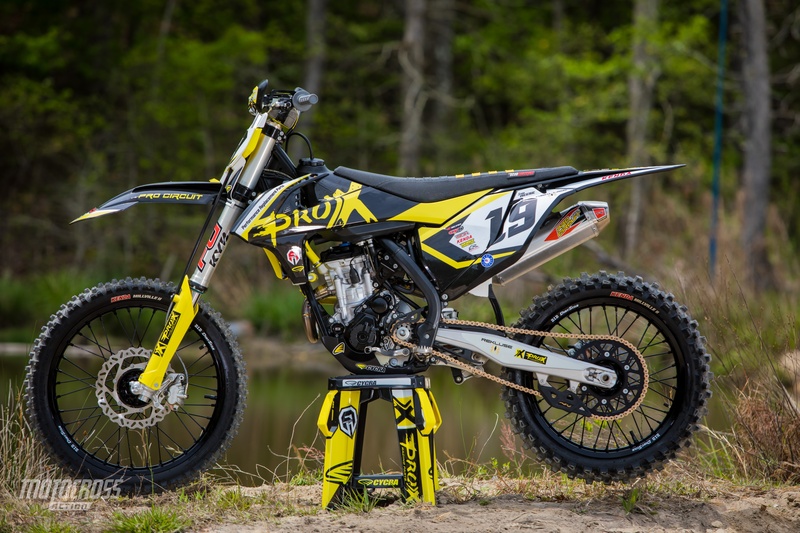 See what FTI can do for your bike here. In the cockpit of the bike, Brian chose a set of Renthal Fatbars and Renthal half-waffle grips, as well as Cycra Rebound handguards to keep the hands protected. Working alongside the comfortable-feeling controls, a set of SCAR titatanium footpegs give Brian a wide area for foot placement and the eliminated worry of a foot slipping off the peg. A complete set of Cycra Powerflow plastics give the bike a factory look and help keep the bike cool by directing air to the radiators through proprietary designs in the radiator shrouds and front fender. Completing the look of the bike, Armored Graphix created a custom kit for the Cycra plastics, matching colors and plastic shape perfectly. 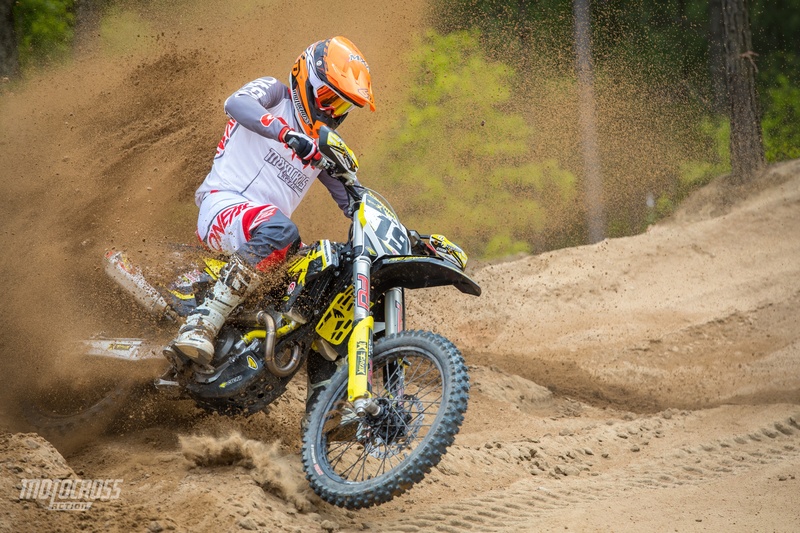 Find Cycra Plastics here, and check out Armored Graphix here. 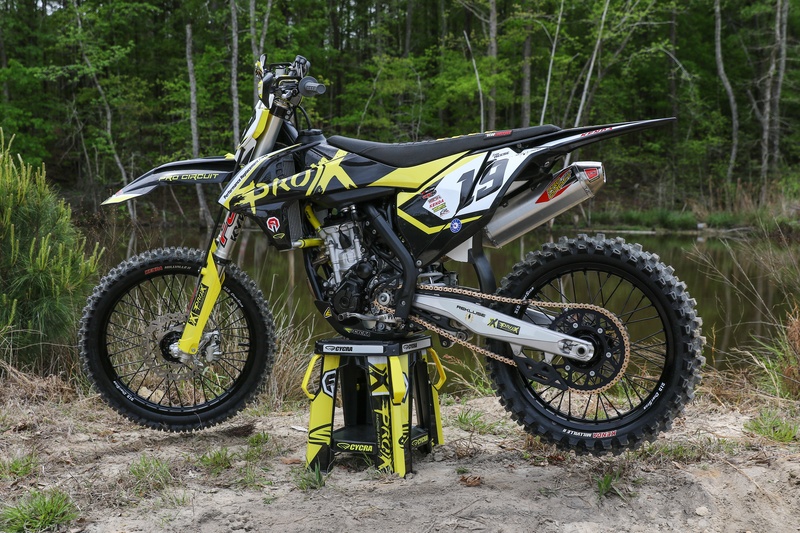 A Cycra Powerflow plastics kit keeps the bike cooler and provides a factory look. 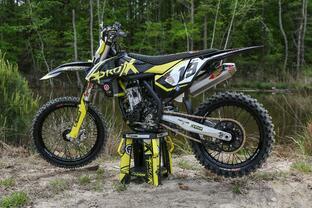 The look was completed with a custom graphics kit from Armor Graphix. A complete seat kit from Seat Concepts greatly improves comfort and grip over the stock seat that felt slippery and got uncomfortable quickly, plus it looks awesome. Last but certainly not least, Works Connection fitted the KTM with some anodized bling for the brake and clutch master cylinder caps, as well as the oil filter cover. 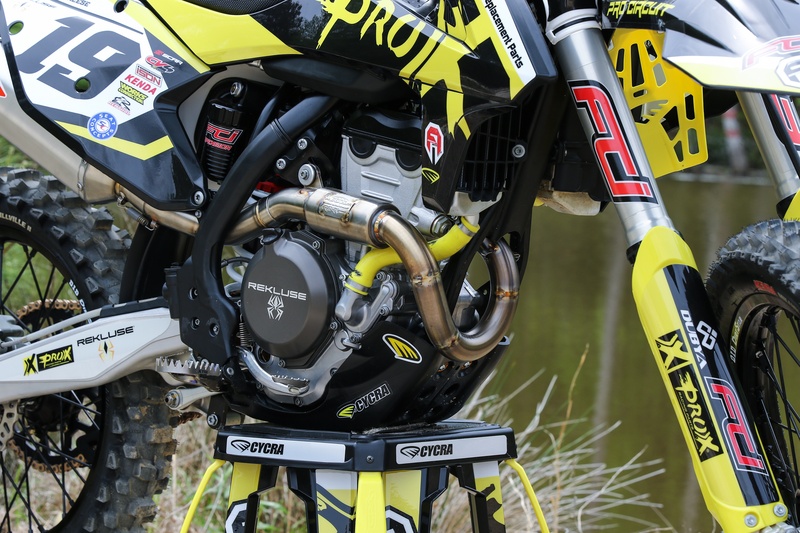 See what Seat Concepts and Works Connection have for your bike. A custom, complete seat from Seat Concepts and anodized master cylinder caps and an oil filter cover added finishing touches to this 250 SX-F.